Open enrollment season is here, and it’s time to make a lot of important choices about your employee benefits. Not only is open enrollment a time to make sure you have the basic coverages you need. It’s also a great time to reevaluate all aspects of your financial situation. Depending on your employer, your benefits package probably includes a lot more than just a healthcare plan. You may have access to a 401(k) or some other retirement plan. You might also be eligible for certain voluntary benefits, like disability and vision coverage. So before you mindlessly click a button to merely keep all your current elections, consider some tips for getting the most out of the benefits available to you. Health insurance – With today’s changing healthcare climate, the plans and providers offered to you may have changed since last year. But, even if they haven’t, it’s a good idea to carefully evaluate all the options. Don’t simply pick the one with the lowest premium. Consider factors like out-of-pocket costs, provider networks, and coverage limits. Life insurance – Even if your employer offers some life insurance for free, that may not be all you need. Take into consideration your age, income, your spouse’s income, and what expenses your family would face in your absence. If necessary, consider supplementing with an additional policy. Disability insurance – Think about what would happen to your family if you were unable to work, particularly for an extended period. Again, any coverage your employer already provides may be insufficient to cover such a large gap in income. Decide if you need to purchase your own policy. 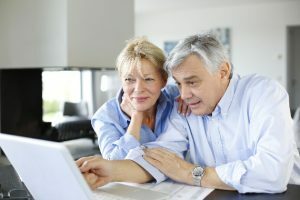 Retirement plans – While you may have the option to change your 401(k) contributions throughout the year, open enrollment is a good time to go ahead and look at this important tool. Determine if you’re putting in as much as you can afford. At minimum, consider investing at least the amount your employer will match, and increase your contributions each time you receive a raise. Make sure your investments reflect your risk tolerance and time horizon, adjusting them to more conservative vehicles as you near retirement. Sure open enrollment may just seem like a time to read a bunch of insurance jargon and fill out a stack of papers. But, try to look at it as a way to reevaluate and, hopefully, improve all areas of your financial situation. Let us know if we can help!